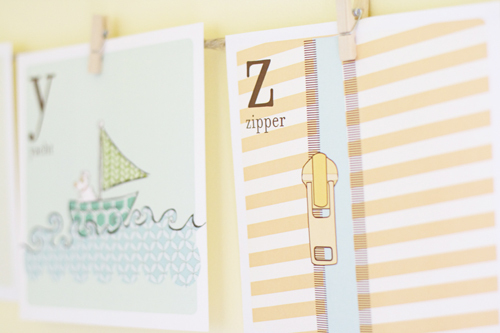 Alphabet flaschcards are a fun way to decorate a nursery, playroom or craft room. And if you have a little one in school they just might be handy to help them learn the alphabet too. This beautiful set from Handmade Home is free to download. Every letter from, A to Z, and you can get them all HERE.